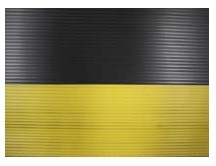 KleenSweep Durable is known for it’s round-rib surface pattern, easy to maintain in heavy use areas. 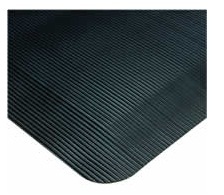 This flexible vinyl surface adds to the overall comfort of the mat while also providing good resistance to many common industrial chemicals and solvents. KleenSweep Durable, with its soft sponge base, is a great tool for reducing fatigue in heavy-use environments. Custom widths and unique configurations are available. Please call for a quotation.